Mohamed Alabbar and Saudi Arabia’s Public Investment Fund (PIF) are teaming up to launch a Middle Eastern e-commerce platform, the Dubai-based billionaire announced on Sunday. At the media launch at Dubai Opera, Alabbar described the new e-commerce venture – Noon.com – as “game changing”. 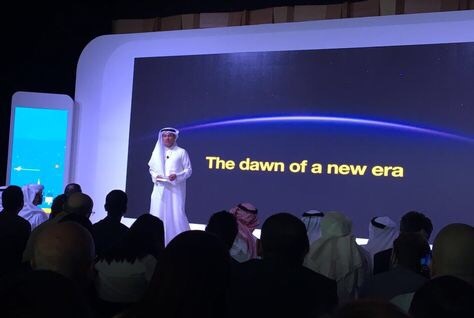 Alabbar revealed that Noon.com will have 20 million products on the platform on day one when it launches next January. The average shopping mall in Dubai has 1.5 million goods, he said. The warehouse facility in Dubai is the size of 60 football pitches, he added. Investors are initially contributing $1 billion to the project, which will be 50 percent owned by the Saudi sovereign wealth fund, Alabbar said. The other 50 percent will be owned by Alabbar and other regional investors. Noon.com will launch operations in Saudi Arabia and the UAE, with launches planned for other Arab countries at a later date. 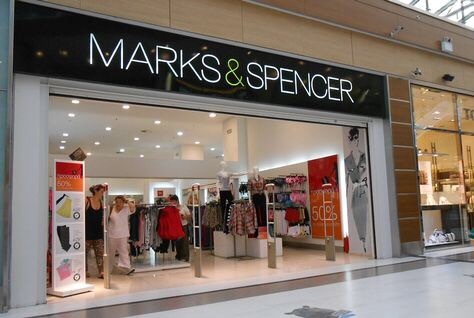 Marks & Spencer (M&S)’s department stores in the Gulf will be unaffected by the British retail giant’s decision to close down more than 80 shops in the UK and around the world. The company announced on Tuesday that it would shut 30 outlets in the UK, and 53 overseas, including most of its fully owned stores. Altogether, it will shutter operations in 10 international markets, including France and China, at a cost of up to 200 million pounds over the next year. In the Gulf, M&S outlets are operated by Dubai’s Al Futtaim, and the retailer said that that relationship would continue. “We are fully committed to our franchise partnership with Al Futtaim and our franchise stores in the Gulf operated by Al-Futtaim are unaffected by today’s proposals,” an M&S UK spokesperson told Arabian Business in response to emailed questions. “Going forward we propose to operate with fewer wholly-owned markets and have a greater focus on our established joint ventures and franchise partnerships. Al Futtaim has held the regional franchise rights for M&S since 1998, and the franchise partnership boasts 26 stores located in Bahrain, Egypt, Kuwait, Lebanon, Oman, Qatar and the UAE, according to the company’s website. M&S, whose shares have fallen 22 percent so far this year, reported an 18.6 percent slump in first-half profit and another fall in quarterly clothing sales. Steve Rowe, a 26-year company veteran, took over as CEO in April and has the tough task of reviving a 132-year-old British institution that has fallen out of fashion over the last decade. “These are tough decisions, but vital to building a future M&S that is simpler, more relevant, multi-channel and focused on delivering sustainable returns,” he said. So far, Rowe’s priority has been trying to turn around M&S’s underperforming clothing and homewares business. But on Tuesday he outlined how the firm will streamline its British store estate of over 900 stores over five years and detailed a rationalisation of its international operations. Hypermarket chain Carrefour plans to open ten new stores in the UAE in 2017, according to a statement on Sunday from Majid Al Futtaim, which holds the Carrefour franchise in the Middle East, Africa and Central Asia. Carrefour has set a target to reach 140 hypermarkets and 210 supermarkets in the countries in which Majid Al Futtaim operates by 2018. A reported 800 telecoms shops in Saudi Arabia have closed since new rules came into force requiring 100 percent of staff to be Saudi nationals. 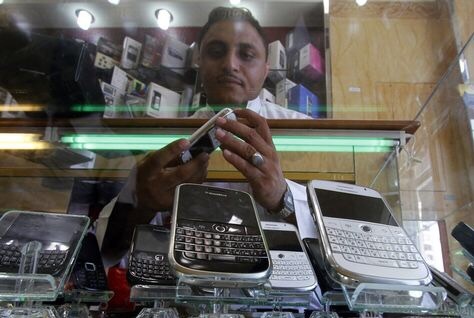 Under a ramped-up Saudisation policy from the government, all stores selling mobile communications devices had to ensure that at least 50 percent of employees were Saudi citizens from June 6; the requirement rose to 100 percent on September 3. Saudi authorities have been conducting raids on shops to ensure the new rules are being implemented – and have recorded multiple violations, Saudi Gazette reported. The newspaper said that 800 establishments have been forced to shut as they were unable to meet the new requirements, while others were flouting the rules. Following the latest inspection, in the Eastern Province, the Labour and Social Development Office recorded 41 violations out of 71 visits. An official source was quoted as saying: “A total of 1,982 establishments have adhered to the Saudisation decision. Mohammad Al Laghbi, the committee head of Jazan municipality labour office, said the telecoms Saudisation plan had succeeded in increasing jobs for Saudi citizens, however, more training is needed in mobile phone repair to offer those services to customers. SPAR has opened its first food stores in Albania through a partnership with Balfin Group. The two hypermarkets in Tirana East Gate and in the QTU shopping centre span 7,200 and 3,800 square metres respectively. Balfin Group is the largest private company operating in Albania. The company entered into food retail in 2005 with the development of the Euromax chain of stores and has been operating 15 large food retail stores under the Carrefour brand. 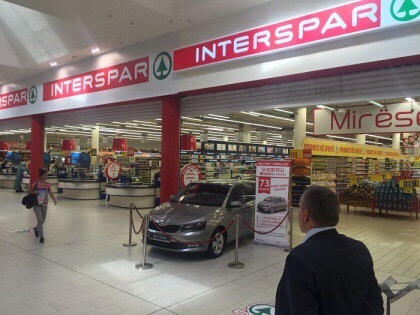 As part of Balfin Group, SPAR Albania will convert the current 15 stores. By the end of 2017, Balfin Group plans to open over 100 supermarkets and 10 hypermarkets as part of a €50 million investment in the country. The entry into Albania means that SPAR currently operates in 44 countries. SPAR International reported global retail sales in 2015 of €33 billion from over 12,100 stores across four continents. 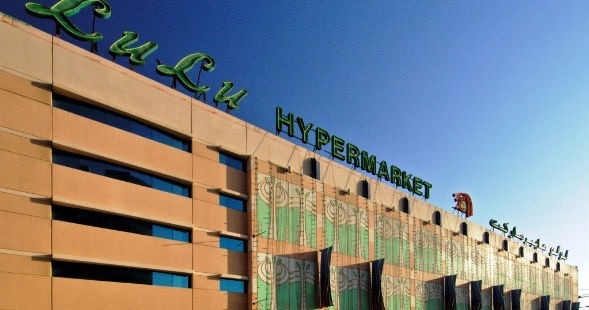 The launch of the two hypermarkets has been complemented with a television campaign and city wide outdoor advertising. Jarir Marketing, one of Saudi Arabia’s largest retailers by market value, posted flat third-quarter net profit on Thursday, and noted a drop in its non-operating expenses. It made a net profit of 220 million riyals ($58.7 million) in the three months to Sept. 30, from 218.5 million riyals in the same period a year earlier, it said in a bourse statement. 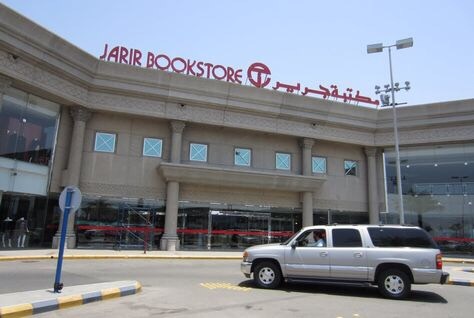 Jarir warned on March 8 that its sales would plunge by as much as 30 percent in the first quarter of this year, the result of a decline in consumer spending as low oil prices weakened the kingdom’s economy. McDonald’s is set to agree a deal to sell 20-year franchise rights for its Singapore and Malaysia outlets to Saudi Arabia’s Reza group for up to $400 million, as part of a re-jig of its Asian business, people familiar with the matter said. Reza Food Services Co. Ltd, which owns and operates McDonald’s restaurants in the western and southern region of Saudi Arabia, has tapped Malaysian bank CIMB (CIMB.KL) to finance the transaction, said two of the sources, who declined to be identified as the deal has not been publicly announced. The move is in line with McDonald’s plans to bring in partners as it switches to a less capital-intensive franchise model in Asia. One person familiar with the Southeast Asian deal said McDonald’s was keen to tie up with regional family-owned groups and local tycoons as it sought out long-term partners rather than buyout firms, which usually cash out of a business after a few years. Basic terms of the agreement had been finalised and the deal was expected to be completed by the year-end, the person said. Sources said CIMB would provide the bulk of the term loan to back the deal, and the financing would be denominated in both Malaysian ringgit and Singapore dollars. In July, McDonald’s had said it was seeking franchise partners for its restaurants in Singapore and Malaysia and was negotiating with parties, but did not provide any details or a timeline. McDonald’s has about 120 restaurants in Singapore and about 260 in Malaysia. 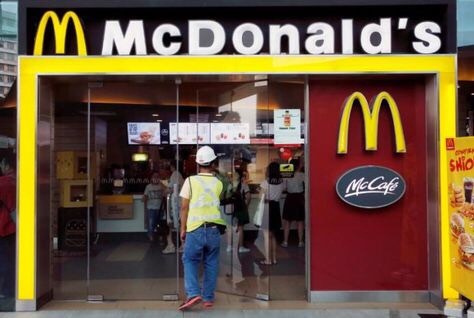 Citing sources, Reuters reported last month that McDonald’s had received final bids from at least three groups for its China and Hong Kong outlets. Premier League football giant Liverpool is set to open an official shop in Abu Dhabi store, with a free in-store event to be hosted by club ambassador and former striker Robbie Fowler. The event will take place on Thursday September 29 and fans will be able to take part in a Q&A, meet and greet and signing session with Robbie, Liverpool said in a statement. 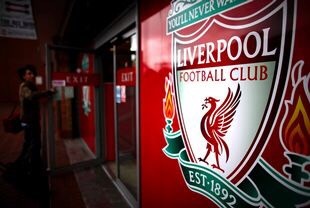 The LFC Abu Dhabi store is opening in conjunction with partner Pioneer Group and offers fans across the region access to the full range of New Balance replica kit as well as authentic Reds merchandise, apparel and fashion accessories, the statement added. The Abu Dhabi store is the ninth official global LFC retail standalone store, and the first to be opened in the Middle East. The club is currently looking to expand its retail operations across the Middle East with a focus to expand into Dubai. Meydan Group has revealed more details about its plans to build the Meydan One Mall in Dubai, which will feature the largest dancing water fountain in the world, measuring 400m in width and 100m in height. The centre point of the much anticipated Meydan One mega development, launched in August 2015 by Sheikh Mohammed bin Rashid Al Maktoum, Vice President and Prime Minister of the UAE and Ruler of Dubai, the Meydan One Mall will cover more than 30,000 sq m of indoor and outdoor space, with 529 shops including two major department stores and an 11,200 sq m hypermarket. Unveiling the new Meydan One Mall branding, logo and visual identity at Cityscape Global this week, the Meydan Group showed a sample model of the mall’s retractable roof, which will be opened in the cooler, winter months to create an alfresco shopping and dining atmosphere. A 25,000 sq m indoor multi-purpose sports facility will be located within the Meydan One Mall, providing regulation size sports fields and courts to cater to football, basketball, volleyball, squash, racquetball, paddle ball, table tennis, badminton, indoor cricket, mixed martial arts, boxing, jogging, softball, baseball batting cage and a golf driving range, while skiing and snowboarding will be facilitated on the world’s longest ski slope, measured at 1km. Outdoor sports options will include football pitches, mountain biking, walking and running trails, a skateboard park and a BMX park. 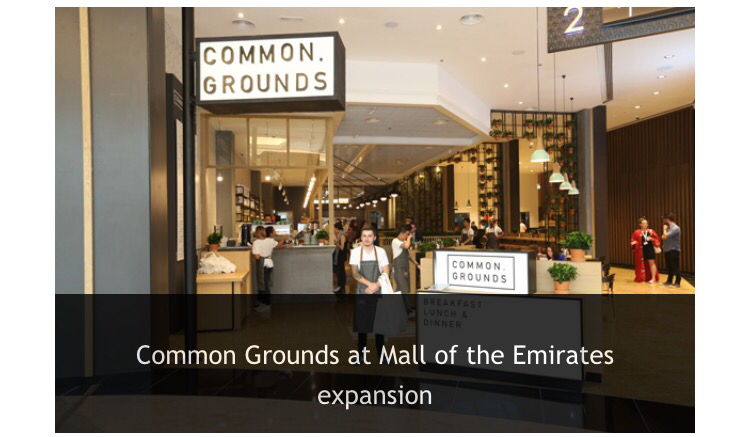 The mall will also feature more than 90 food and beverage outlets, a 20-screen cinema with a food court hosting an additional 20 outlets, as well as a 400m Central Canyon flanked by a collection of flagship luxury stores. It will be serviced by car parking facilities with more than 12,000 spaces. Meydan’s vision began with the completion of the Grandstand in 2010 and was underlined by the Group’s role in the development of Mohammed Bin Rashid Al Maktoum City, specifically District One, a collection of premium villas within the heart of new Dubai. The company said the construction of Meydan One will complete its commitment to helping “create the future of Dubai”. A new agreement between Landmark Group and the Reem Mall will bring concepts from the region’s leading retail and hospitality conglomerate to the shopping center. Reem Mall is recognized as one of the supreme destinations on Reem Island for shopping and socializing. “Reem Mall is set to transform the retail landscape in Abu Dhabi, and this significant new agreement with Landmark Group brings some of the world’s most popular brands to one convenient location,” Shane Eldstrom, chief operating officer for Reem Mall, said. 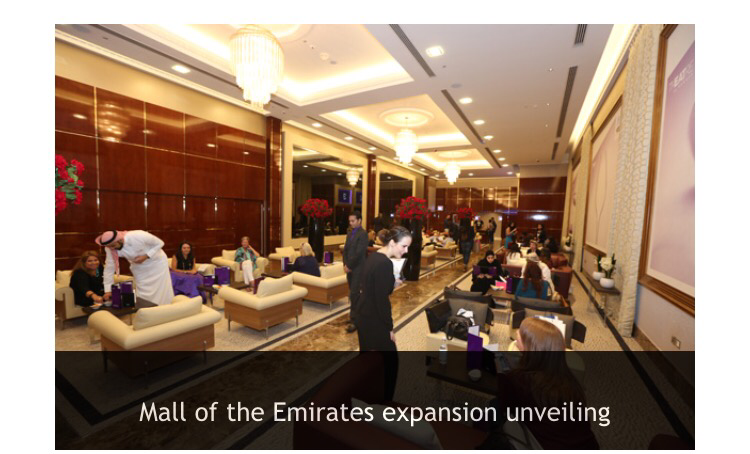 The mall, which is two million square feet, will open 23 new stores in the UAE capital in 2018. Within the newly signed agreement, Landmark Group will bring Centrepoint, Home Centre, Max, Iconic, Sports One and Shoexpress. 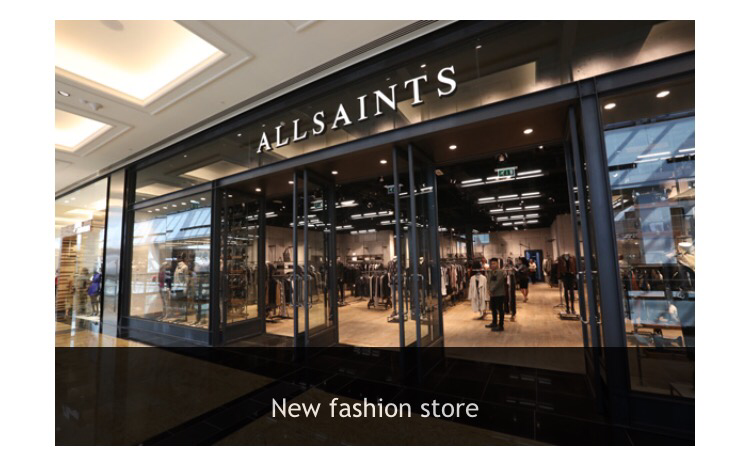 The Groups’ highly recognized franchise brands such as New Look, Reiss, Adidas Kids, Ecco, Koton, Yours London, Lipsy, Steve Madden, Carpisa, Nose, Pablosky, Aerosoles, Kurt Geiger, Stride Rite, Puket, Blocco 31, Kazar and Loriblu will add to the retail options within the shopping mall. With the numerous store offering, Landmark Group will occupy roughly 200,000 square feet of the entire mall. Not only will the center offer 85 food and beverage outlets for the perfect mix of education and entertainment, but Reem Mall will also host numerous entertainment options for guests of all ages, including the world’s largest indoor snow-play park. Reem Mall was developed by NREC and UPAC . Construction began in 2015 and the 450 store facility is expected to open in 2018. The retail and leisure center is located in one on the most social and up and coming communities in Abu Dhabi. Five BHS stores in Dubai and Sharjah are set to close after the British retail major collapsed in March. 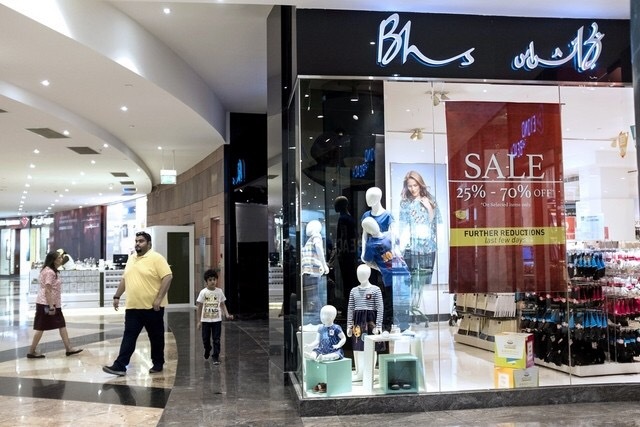 Al Maya Group, a Dubai company that owns the franchise to BHS in the emirate, said its five BHS stores located in Dubai Mall, Festival City, Al Ghurair Centre, Lamcy Plaza and Sharjah City Centre would close by the end of the year. “Al Maya owns the franchise to these stores so they do not have to close, but the company has chosen to close them,” the Al Maya buyer Noor Tayyaba told The National. The BHS group collapsed a year after it was sold by Sir Philip Green’s Arcadia to Retail Acquisitions, a consortium led by the former racing driver and three times bankrupt Dominic Chappell. But in Abu Dhabi it was business as usual for the 11 BHS stores operated by Liwa Trading Enterprises, a subsidiary of Abu Dhabi’s Al Nasser Holdings. A Liwa spokesman confirmed that its stores, located in some of Abu Dhabi and Al Ain’s largest shopping malls, would continue to trade despite the closure this week of all 163 BHS stores in the United Kingdom. “BHS still has a loyal cus­tomer base in the Middle East. Our customers in Abu Dhabi tend to be Arab expatriates who like the styling offered by the brand,” a Liwa spokesman said. In June, the Qatari conglomerate Al Mana acquired the company’s international franchising business and all domain names. Alshaya Group manages 26 franchised BHS stores across the Arabian Gulf – 13 in Saudi Arabia, 12 in Kuwait and one in Oman. The company is also understood to be continuing with the brand. BHS is not the only international brand to continue trading in the region after facing insolvency elsewhere. The book seller Borders and the ladies fashion chain Jane Norman are among overseas high street names that continue to trade here. “There are a number of brands which continue to exist in the UAE even though their parent companies have disappeared elsewhere,” said David Mac­adam, the chief executive of the Middle East Council of Shopping Centres. Costa Coffee’s franchise partner in the Middle East has invested in digital menu screens as it looks to improve the customer experience in the company’s Dubai stores. Over 50 Costa Coffee shops in Dubai are in the process of being refreshed with digital signage installations, as the global chain looks to update the experience it offers customers in its stores. These stores are operated as a franchise by Emirates Leisure Retail, which has led the project after being given approval by the company’s global brand management team in London. 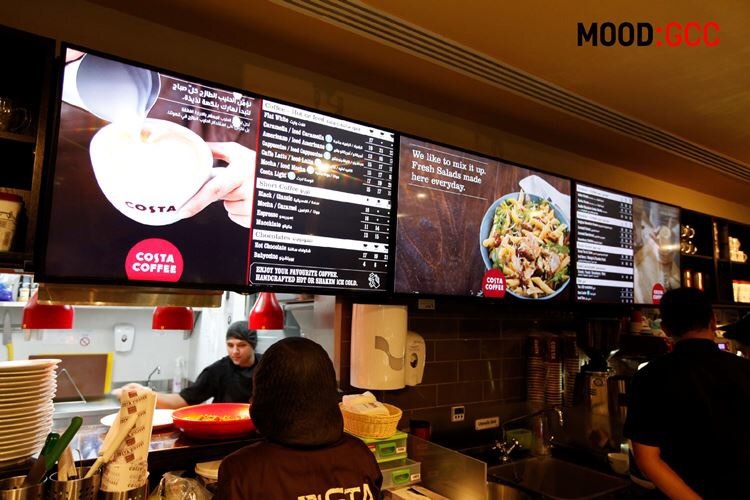 Emirates Leisure Retail selected Mood Media – the company that manages Costa’s in-store music – to provide the menu boards. Digital signage media player company, BrightSign, is hosting the technology, while the equipment itself is supplied by local distributor, Digital Communications. Digital menu boards are being introduced as each store goes through a refurbishment, and around half of the installations have been completed to date. Mood Media is now in talks to extend the digital boards to other Costa Coffee stores in Gulf Cooperation Council (GCC) territories. Shemaine Jones, head of marketing at Emirates Leisure Retail, said: “We are always looking for ways to improve the customer experience. The central screen features video content provided by Costa Coffee and/or created by Mood GCC locally in Dubai, while the screens to either side offer up-to-date menus and pricing, as well as moving images. 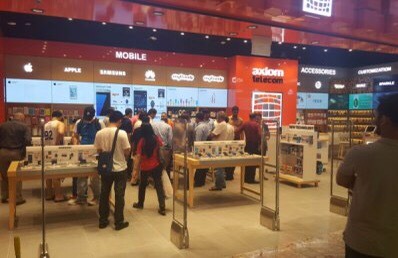 Axiom telecom, the UAE’s largest mobility retailer, has brought its ‘experiential shopping’ to Abu Dhabi with the first-of-its-kind retail concept in the emirate. The launch of axiom’s innovative shopping concept in Abu Dhabi Mall marks the retailer’s third store renovation in the UAE after Dubai Festival City and The Dubai Mall. It is also the sixth axiom revamp in the region, with three recent store launches in Saudi Arabia. Shopper expectations in the UAE capital are evolving from being product-based to experience-based, according to axim CEO Fahad Al Bannai. “Abu Dhabi shoppers largely comprise young Millennials who are looking for a non-traditional retail experience, one characterised by the ability to experience products before making a purchase,” he said. Among the many exciting new services shoppers will discover at axiom is ‘XCustoms’, a first-of-its-kind in-store customisation zone that allows customers to personalise their smartphone. From gold plating, engraving, and colorful skins, to UV printing, clear protection, and Swarovski crystals, XCustoms allows gadget owners to express their individuality – whether it is supporting a favourite band or team, or showcasing a unique sense of style. Nearly all services are completed in-store, allowing customers to make a statement with their personalised device in as little as 15 minutes, the company said. 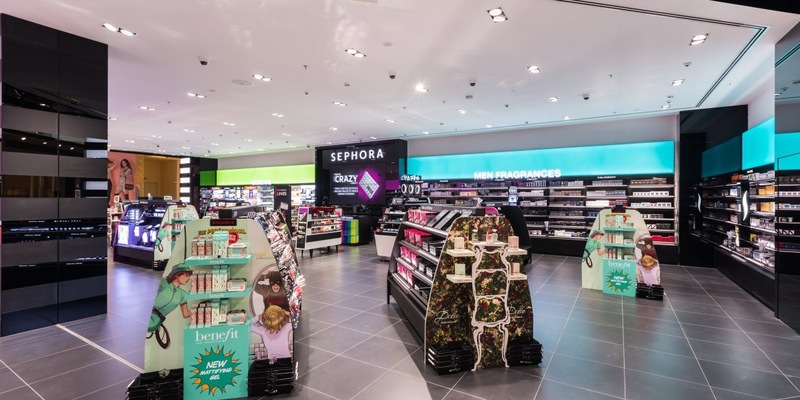 Cosmetics retailer Sephora has opened four new shops in the Middle East, adding to its 52-store roster in the region. The Paris-headquartered beauty chain has launched stores in the newly expanded Ibn Battuta Mall, Dubai, Gulf Mall in Qatar and Jouri Mall and the Mall of Dhahran in Saudi Arabia. The chain claims it has seen ‘significant’ regional growth, particularly in the United Arab Emirates and Saudi Arabia, and plans to expand further across these markets in the future. However, the number of Sephora stores currently open in the Middle East remains only half of what the late chief executive Jacques Levy had in mind for the region nearly 10 years ago. Speaking to Gulf News in 2007, a year before the global financial crisis, the CEO said he hoped to have 100 stores in the Middle East by 2010. Levy stepped down from his role in 2011 and died a year later. The UAE’s retail sector is predicted to grow at an average rate of about 5 per cent, reaching a value of Dhs 200bn by 2017, despite concerns of a slump related to the fallen oil prices. According to a forecast from the retail consultancy Euromonitor, retail spending in the Emirates is on track to increase by 7 per cent this year to $53.7bn, while retail space has increased by 7 per cent during 2014 to reach 1.6 million square metres. However, many retailers have complained about the high rental price of retail space, as costs are pushed up by an increasing presence of global brands in the country’s shopping malls. Al-Futtaim, a Dubai-based conglomerate, has signed a partnership agreement with French fashion house ba&sh to introduce the luxury brand to the Middle East. The first of the planned 10 ba&sh stores will open in Dubai’s City Walk in the fourth quarter of 2016, it said in a statement. Paul Delaoutre, president Al Futtaim Retail said: “This partnership will add exciting new markets to ba&sh’s global network and at the same time provide Al-Futtaim’s customers in the region with a much wider shopping choice. 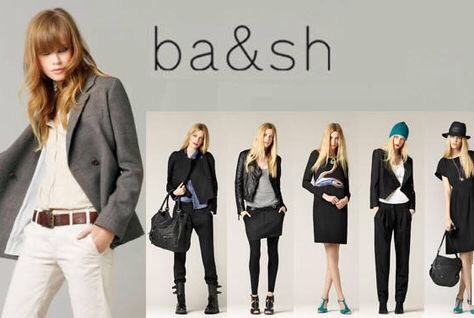 Following the opening of the flagship ba&sh store at CityWalk in Q4, there are plans to launch six more boutiques and three concessions in prestigious department stores over the next three years, the statement said. It added that the brand is expected to expand into several territories within the region by 2019. 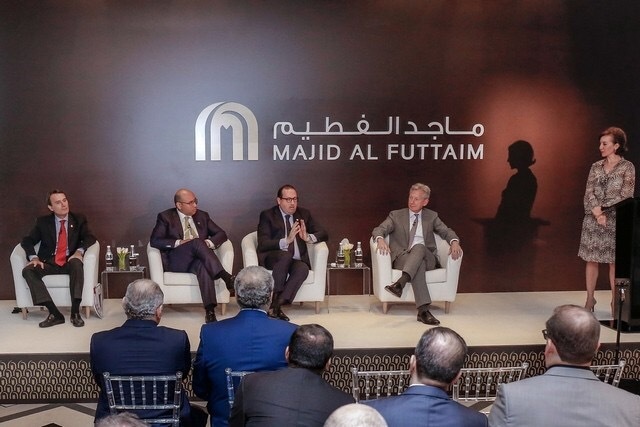 Most of the Dh30 billion of investments in the UAE announced yesterday by Majid Al Futtaim is likely to be in place by the time Dubai’s Expo 2020 takes place, says the company’s chief executive, Alain Bejjani. The Dubai-based group revealed plans to open 10 new City Centre malls, six hotels, 28 cinemas, 40 Carrefour supermarkets and a 740,000 square metre master planned community over the next 10 years, in a move that will generate about 170,000 direct and indirect jobs. Yet Mr Bejjani said all but one of its mall projects would start on site either this year or next. “We did not include in this Dh30bn strategy anything where we didn’t have the land acquired and plans in progress,” he said. The projects announced include 10 malls being developed under its City Centre brand, a new super-regional mall in Sharjah at its Al Zahia master planned community and its first foray into Abu Dhabi retail through a smaller My City Centre mall at Masdar City. The investment also includes plans to refurbish and extend existing properties. City Centre Me’aisem and City Centre Ajman are being extended, and more refurbishment at Mall of the Emirates, where upgrades will be carried out to areas around Rodeo Drive and Ski Dubai. The six new hotels will include a luxury property at Mall of the Emirates, two hotels at Mirdif City Centre, one at Deira City Centre and two at the new Al ­Zahia mall in Sharjah. Hotels, retail and leisure are also proposed for the new master planned community, which is being built at a plot on Sheikh Mohammed bin Zayed City, close to the Global Village complex. However, this is a project that may take slightly longer to bring forwards, Mr Bejjani said. Mr Bejjani declined to give details of how it would finance its Dh30bn investment, apart from stating that it was committed to maintaining its current BBB credit rating. “Our plans are well thought, well funded and we will take advantage of any opportunities in the market,” he said. Last week, Dubai was ranked by the consultancy JLL as the fourth-most attractive market in the world for retailers, behind London, Hong Kong and Paris. Abu Dhabi was ranked 11th globally. JLL said that Dubai already has one of the highest per-capita levels of retail space in the world, as it has developed a reputation as a shopping tourism destination. Majid Al Futtaim said that its plans will double the amount of retail space it has in its malls from 725,000 sq metres to 1.5 million sq metres. Emaar Malls has about 540,000 sq metres of retail space in its portfolio, including The Dubai Mall, but parent firm Emaar Properties has plans to develop 11.16 million sq metres of retail within the new Dubai Creek Harbour project. Mr Bejjani said he was not concerned about overcapacity in the market, citing growing population and tourism numbers. “There are very clear growth trends in the market that we are going to take advantage of, but quality is important and experience is important. Majid Al Futtaim is the best developer within all of our businesses. We are very confident of our offering,” he said. Dubai Holding, a leading investment holding company, has announced the launch of its new waterfront destination, ‘Marasi Business Bay,’ to be developed along the creek within Business Bay destination at an estimated cost of Dh1 billion ($272 million). A breakthrough master-planned development, ‘Marasi Business Bay embraces the longest promenade spanning 12 km, the UAE’s first-ever water homes, retail options, floating restaurants, leisure facilities and five palm tree-lined marinas, said a statement from Dubai Holding. Located on the Dubai Canal Project, Marasi Business Bay is set to become a major future landmark in Dubai – an unprecedented unique waterside destination concept in the UAE and the Middle East. It boasts of the region’s first purpose-built yachting destination with floating restaurants and cafes, alongside onshore boutique shopping and a range of leisure and entertainment facilities, it stated. 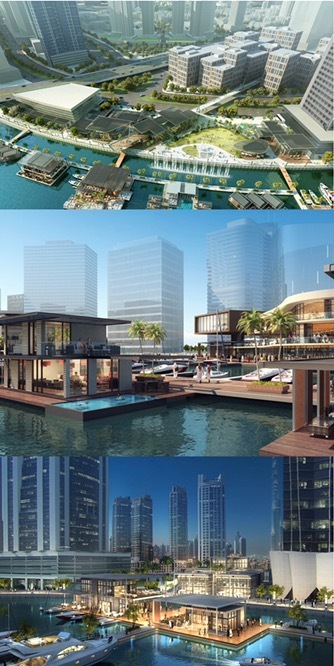 The development’s residential units, which are to be built on water with boat access, provide direct canal views and create a unique new living proposition for the real estate market in Dubai, it added. “Our objective is to create innovative and unique developments, that accentuates the essence of Dubai’s culture and heritage, and presents what the future emirate looks like; a city that enriches the lives of its residents and visitors alike through unparalleled lifestyle experiences, adding value for investors and Dubai’s economic diversification,” stated AlGergawi. Located along the Dubai Water Canal, this waterfront destination embraces the longest water-side promenades, comprising a space rich with green spaces, he added. According to Gergawi, the waterfront project will be developed in phases. The work has already started on the first phase, The Promenade, which will be completed by September this year in line with the opening of RTA’s Dubai Water Canal Project, followed by The Park and The Yacht Club. The development will feature a range of local and international businesses spread over 250,000 sq m of open space, including parks and the waterfront promenade. Over 100 shops and outlets will be built on a 16,000 sq m area, while the Park area spans almost 60,000 sq m.
On the Yacht Club, Gergawi said it will feature the first water homes in the UAE, providing views unlike any other in the region. “And with its prime position along the waterfront promenade, these luxury homes will offer leisure and retail spaces for luxury dining, retail and entertainment facilities,” he stated. “Dubai Properties, through the smart and strategic development of destinations, seeks to enrich the lives of residents and visitors alike and to promote growth and economic diversification in the UAE,” he stated. Al Ali said Marasi Business Bay was yet another strategic project of Dubai Holding, set to mark a first in the city’s urban fabric with unique mixed-use landmarks. Miral, the asset management company responsible for the development and management of Yas Island, and Warner Bros. have officially announced that a Warner Bros. themed destination is set to open in Abu Dhabi. Situated on Yas Island, the development will include an immersive Warner Bros. theme park and the world’s first Warner Bros. branded hotel. The first phase of the project, Warner Bros. World Abu Dhabi, is set to open in 2018. Construction is underway and rides are in production. Warner Bros. World Abu Dhabi will bring together stories and characters from the studio’s unparalleled portfolio of DC Comics super heroes, including Batman, Superman and Wonder Woman, as well as Warner Bros. cartoons such as Bugs Bunny, Scooby-Doo and Tom and Jerry. Guests of all ages will be able to step inside Gotham City and Metropolis, and experience the cartoon worlds of Looney Tunes, Hanna-Barbera and more, all under one roof. Located alongside the world’s largest indoor theme park, Ferrari World Abu Dhabi, and the iconic Emirati-themed water park, Yas Waterworld, Warner Bros. World Abu Dhabi aims to help Yas Island take its annual visitor tally from 25 million in 2015, to 30 million in 2018. Mohamed Khalifa Al Mubarak, chairman, Miral, said: “World Abu Dhabi theme park is estimated at US$1 billion and is a milestone in the emirate’s journey to put Abu Dhabi on the global map and become one of the world’s leading tourist destinations. Dubai: Dubai is to have a new “mega retail district” at the new masters elopement in the making near Dubai Creek. Part of the Dubai Creek Harbour, the new retail destination could be announced as early as in the next two months, according to a top Emaar Properties official. It will be connected to The Tower, one of the world’s tallest observation decks and Dubai’s new monument in the making. The basic design of The Tower has been unveiled. British cosmetics retailer The Body Shop is planning to launch its own e-commerce website in the United Arab Emirates as its growth in the region outperforms the rest of the word. The ethical beauty giant’s chief executive Jeremy Schwartz said the company planned to launch the new website in Dubai in 2017. The CEO claimed that during 2015, the 40-year-old company had grown much faster in the Middle East compared to the global average. Saudi Arabia and Kuwait were cited as being particularly strong markets, while the brand also saw a resurgence in Oman last year, Schwartz said. The male market is also stronger in the Middle East, forming 40 per cent of overall sales compared to 35 per cent globally. Speaking to Gulf Business he said: “The Middle East represents a significant part of our business. Last year in the Middle East we had a total growth that was about three times greater than that of our global growth. Currently the franchise has 43 stores in the UAE and 350 across the Middle East. It opened its first regional stores in Saudi Arabia and Qatar in 1987. 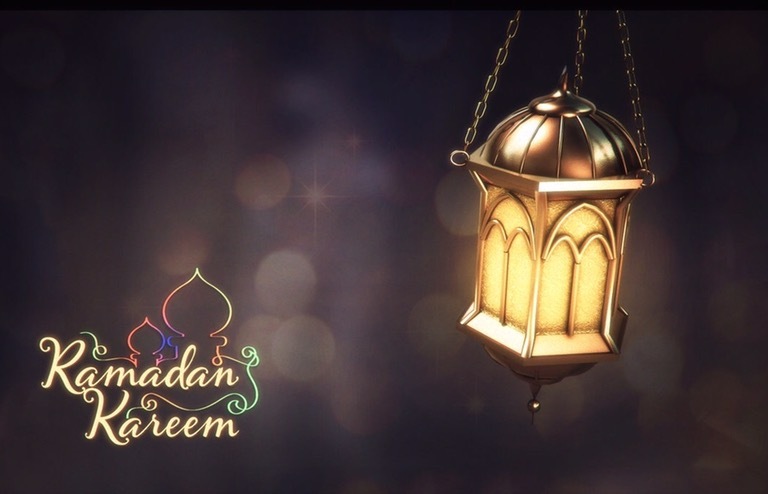 Schwartz said the growth surge in the Middle East was in part due to its mission to become ‘experts’ in Ramadan and gifting. Founded by British environmental activist Anita Roddick in 1976, The Body Shop suffered a decline in like-for-like sales of 0.9 per cent last year, reaching €967m (Dhs 4bn), as the ethical beauty market became increasingly competitive. “Lots of companies have got onto sustainability, many of them have copied The Body Shop – the CEOs say they were inspired,” said Schwartz. “The question is, if we are a pioneer and an innovator, how do we re-invent the concept of corporate responsibility? London luxury department store Harrods has opened a temporary store in Doha for the Christmas period. The iconic store, which is owned by Qatar Investment Authority (QIA), opened a 6,500 square metre branch at Katara Cultural Village at the weekend. For the first week, the store is only open to VIP visitors, after which the general public can visit from 4pm to midnight daily for the next 45 days. Designed by Italian architect Gio Pagani, the store is a larger version of the Harrods branch in Sardinia. It features 14 luxury brands, including Audi, Bentley, Buccellati, Graff Diamonds, Chopard and Ferrari. The store also features luxury vehicles, including Rolls-Royce, BMW and Bentley. “The goal for this ambitious village was to create a really unique space that enhances the environment, adds a desirable ‘wow’ factor, and highlights each luxury brand within a contrasting unexpected temporary space, turning what was originally an anonymous space into one of the world’s most desirable shopping experiences,” said Pagani. Sheikh Abdullah bin Mohamed bin Saud Al Thani, CEO of QIA, said the store was brought to Doha to coincide with Qatar’s national day celebrations, with a much larger store planned for next year’s national day. 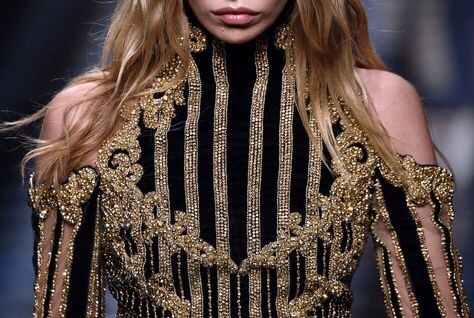 Italian fashion house Valentino, owned by Qatar’s Mayhoola for Investments, has offered 500 million euros ($569 million) to buy Pierre Balmain, French newspaper Les Echos has reported , citing sources. The French fashion house, led by artistic director Olivier Rousteing, has also received offers from a Chinese group and an American investor, Les Echos said, without providing names. The heirs of Pierre Balmain’s founder, Alain Hivelin, have until Thursday to decide whether to accept one of the three offers, according to Les Echos. Valentino and Pierre Balmain were not immediately available for comment. Dubai: During his inspection of the Dubai Canal project on Saturday, His Highness Shaikh Mohammad Bin Rashid Al Maktoum, Vice-President and Prime Minister of the UAE and Ruler of Dubai, was briefed by Saeed Humaid Al Tayer, Chairman of Meydan Group, about property and urban development projects to be built on the two banks of the canal. These projects will be built on an area of 4.68 million square metres with 605,000 square metres earmarked for commercial purposes. They include 5,345 residential units and 948 hotel rooms. The Gate Towers bridge at the entrance of the canal will comprise a three-level mall built above the canal covering 300,000 square metres. It will feature 434 retail outlets and restaurants. 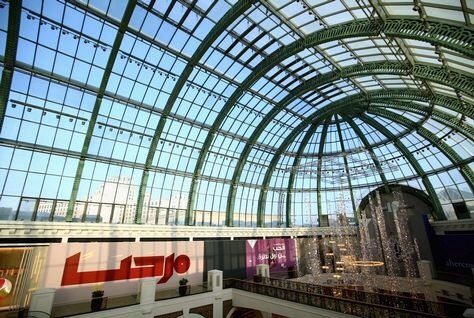 The roof of the mall has been designed as a green park providing an optical connection between its greenery and that of Al Safa Park. The Gate Towers project will include a five-star hotel, hotel apartments and branded apartments. Also part of the project are four residential towers linked to Al Safa Park, around 500 retail outlets and restaurants and 1,141 residential units. Around 200 outlets and restaurants and 211 residential units will be constructed on both sides of the canal. The canal project will peak at the delta where a peninsula will be formed, adding more than a kilometre to the new beach of the Jumeirah Beach Park. This expansion will create space for deluxe property development projects in the Marina area featuring more than 60 marinas, 1,817 residential units, 957 five-star hotel rooms, 347 retail outlets and restaurants. Dubai, UAE–Abercrombie & Fitch Co. (NYSE: ANF) today announced that its Abercrombie & Fitch brand will open its first store in the UAE at Dubai’s luxury shopping center, the Mall of Emirates, on December 26, 2015. The store is being opened pursuant to a joint venture between Abercrombie and Fitch and Majid Al Futtaim Fashion. The new location is the brand’s third store in the region, following the opening of two stores in Kuwait in early 2015. The Dubai opening marks several firsts for the brand, including a newly designed concept store featuring a stand-alone fragrance boutique and a carve-out for the abercrombie kids brand. The 18,000 square foot store is one of the largest Abercrombie & Fitch mall-based stores globally and features the brand’s signature style and inviting shopping environment. Customers and fans of the half-eaten fruit will get a full Apple experience when the company’s first stores open in the UAE this Thursday, October 29, according to a senior vice president of retail and online stores at Apple, Angela Ahrendts, reported an article in gulfnews.com. “The retail stores are simply to give customers another experience, [Customers] can all buy online, they can all buy through our partners, but then they have wonderful retail stores where they can come to and do workshops, [to] be further educated on their products,” said Angela, from the company headquarters in Cupertine, California. She said Apple wants the environment to be calmer and more inviting and to be more locally relevant, reported the article. “It’s a big, philosophical part of the evolution of Apple retail,” adds Angela. While the basic design will have the same iconic hallmarks, such as the big oak table, glass counters, certain features will make the environment more warm and dynamic. Apple’s latest flagship smartphone, the iPhone 6s was launched in the UAE on October 9. 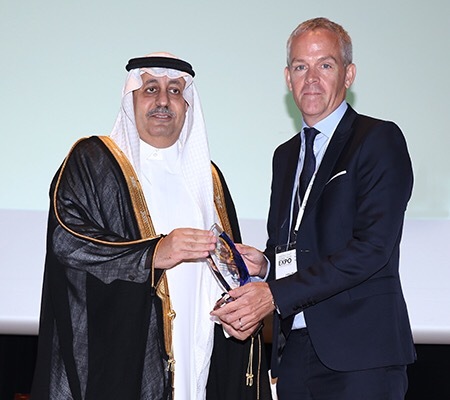 John Hadden, Senior Vice President for Retail Property, who collected the award on behalf of Alshaya, said that the award reflected the company’s unwavering commitment to growth and to providing Middle East consumers with a wide range of shopping and dining experiences. The MENA Franchise Awards for Excellence in Franchising are designed to recognise exceptional performance in franchising, with the goal of encouraging operators to raise the bar on service and their offering. Dubai-based master developer Nakheel has awarded construction contracts worth nearly Dh2.3 billion ($626 millon) for three major projects in its growing retail portfolio. The company has confirmed the builders of Deira Islands Night Souk, Warsan Souk and The Circle Mall, which, combined, offer nearly 2.3 million sq ft of retail space and over 6,700 shopping, dining and entertainment outlets. Nakheel has awarded a Dh1.17-billion contract to United Engineering Construction (Unec) for the Deira Islands Night Souk and Boardwalk project. On completion, Deira Islands Night Souk will stretch almost 2 km along Deira Islands’ waterfront and boast 5,300 shops and nearly 100 quayside cafes and restaurants. Located just across from mainland Dubai, the Night Souk will be easily accessible by road and water, and within walking distance of hotels, residences and Deira Mall, Nakheel’s other major retail project at the islands. All 1.2 million sq ft of leasable space at the Night Souk was snapped up by budding Emirati entrepreneurs within five days of its launch, said the Dubai developer in its statement. The Night Souk will bring together a new generation of local traders at Dubai’s oldest and most traditional business hub, and is set to be one of the emirate’s biggest new attractions for residents and tourists. The construction of the Night Souk is due for completion in 2018., the statement said. For Warsan Souk, a new retail complex with 1,170 shops including two department stores and 30 cafes and restaurants with indoor and outdoor dining, the contract worth Dh775 million has been given to Ginco General Contracting. Located between Sheikh Mohammed Bin Zayed Road and Manama Road, next to International City, Warsan Souk will be a vibrant, modern destination, innovatively-designed as a modern take on the traditional souk. With 650,000 sq ft of retail space, the souk will be spread across eight buildings, each comprising two floors of retail with three-bedroom townhouses – 433 in total – built above, said the statement from the Dubai developer. Already fully leased and due for completion in 2018, Warsan Souk forms part of Nakheel’s Warsan Village gated community of 934 homes, currently under construction, it added. 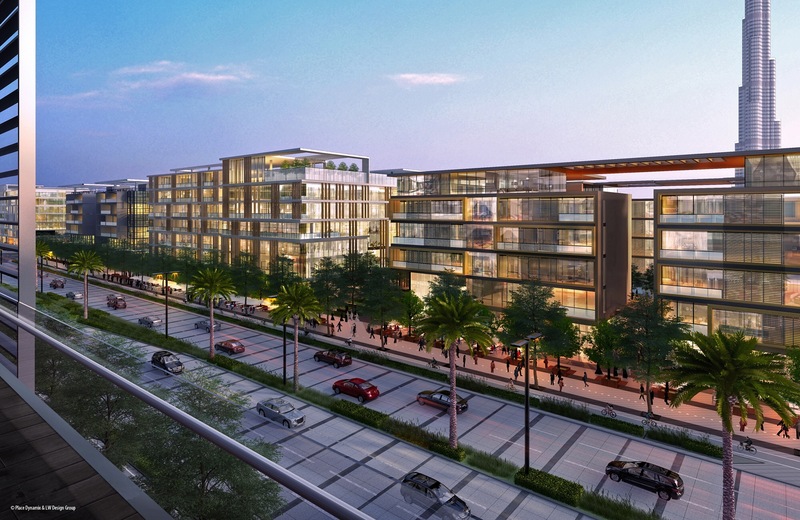 The last contract worth Dh353.75 million was clinched by Gulf Technical Construction Company for the Circle Mall, one of Nakheel’s largest master communities. Located at Jumeirah Village Circle, The Circle Mall has 432,000 sq ft of retail space housing 235 shops, a multi-screen cinema, a health clinic, a multitude of cafes and restaurants and a food court. The Circle Mall, strategically positioned Sheikh Mohammed Bin Zayed Road, Al Khail Road and Hessa Street, will serve hundreds of thousands of people living in Jumeirah Village and surrounding areas, and provide a new leisure destination for residents and tourists across the rest of Dubai, said Nakheel in its statement. Around half of the leasable space at Circle Mall is booked. Construction will begin shortly, with anticipated completion in early 2018, it added. Confirmed tenants at The Circle Mall include Spinneys, Oscar Cinemas, Sports Market, Early Learning Centre, Mamas & Papas, Grand Optics, Tips & Toes, Bare Salon and Supercare Pharmacy. Cafes and restaurants coming to The Circle Mall include Jamaica Blue, Café Nero, London Dairy, Wendy’s, Barbecue Delights, Russo’s New York Pizzeria, Nando and Al Arrab, it added. According to Nakheel, its retail project portfolio is expected to become the biggest in the UAE, with 10 new large-scale developments and a growing collection of community retail centres on the way. The company has more than 10 million sq ft of leasable retail space in the pipeline, adding to the 3.4 million already in operation at its Dragon Mart and Ibn Battuta Mall developments. 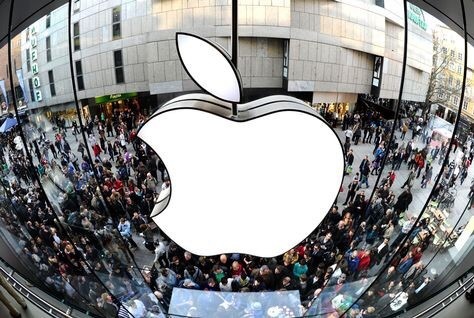 Apple has confirmed longstanding market rumours by announcing that it will open two stores in the UAE on October 29. The stores will be located in Dubai’s Mall of the Emirates and Abu Dhabi’s Yas Mall, with grand openings planned for 4pm and 7pm local time respectively, the tech giant said in a statement. Apple’s move has been expected for some time. Bloomberg reported in August that the US giant could be exempted from foreign ownership laws in the UAE, and could be allowed 100 percent ownership of its stores. That report was later denied by a senior official from the MInistry of Economy. Viacom’s Nickelodeon and Viacom Consumer Products (NVCP) unit is continuing the global rollout of Nickelodeon stores, announcing Tuesday that it would open a Dubai store in 2016. The store will be based in one of the world’s largest shopping malls, Dubai Mall, which forms part of a $20 billion downtown complex with more than 1,200 shops. The Dubai store will be the 12th Nickelodeon retail store to open internationally as part of a relationship with Entertainment Retail Enterprises. 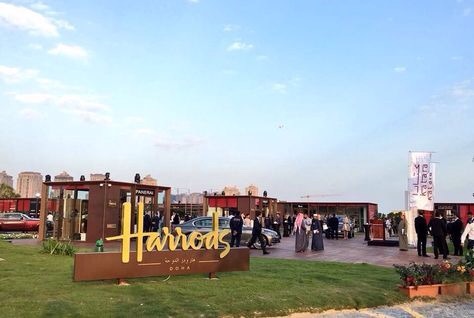 It will be the second store in the Middle East after Riyadh in Saudi Arabia, which opened in Aug. 2013. The other stores are in Latin America (Panama, Honduras, Chile, Colombia, Costa Rica) and London. “Opening a store in one of the world’s biggest international centers is an incredibly exciting next step for Nickelodeon to continue to work together with world-class partner ERE, to further our collective mission to create engaging and enjoyable experiences around the world,” said Ron Johnson, executive vp, NVCP. With more than 3,200 square feet of retail space, the Dubai store will offer kids and families the opportunity to experience and interact with such Nickelodeon properties as SpongeBob SquarePants, Dora the Explorer, Teenage Mutant Ninja Turtles and Paw Patrol. 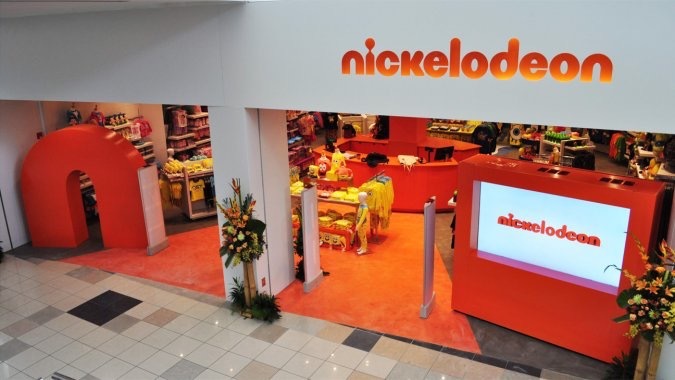 To date, Nickelodeon and ERE have together launched eleven retail stores and one online store. The UK Flagship in London’s Leicester Square is their first store in Europe. 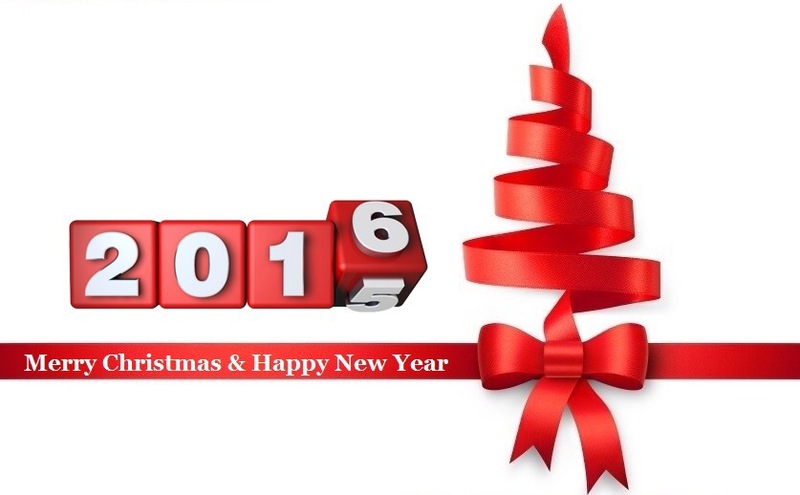 NVCP and ERE plan to open more stores in 2016. 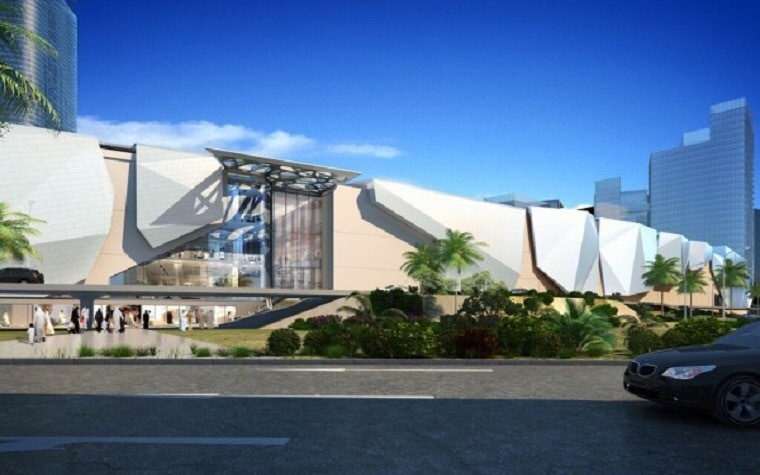 DOHA, Qatar, October 4, 2015 /PRNewswire/ Qatar’s largest leisure, entertainment and shopping complex, Mall of Qatar has signed a leasing agreement with M.H. Alshaya Co., one of the world’s leading retail franchise operators to open more than 30 stores and restaurant outlets in the Mall of Qatar. 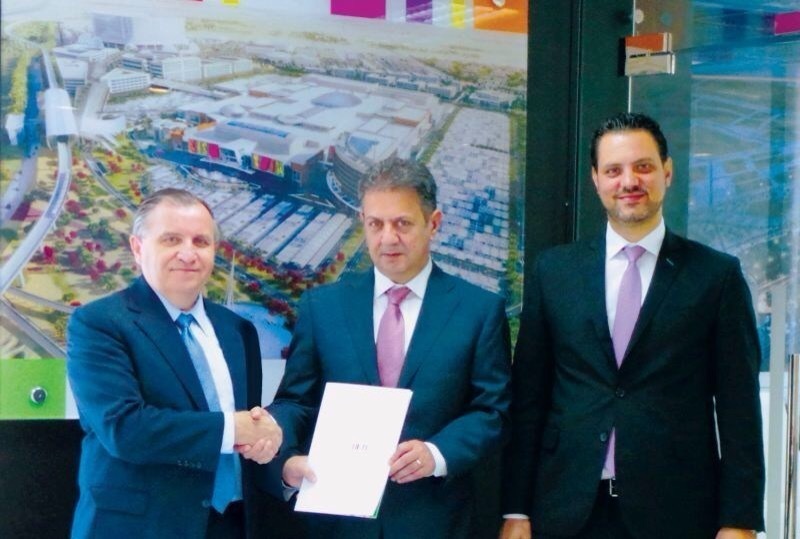 The agreement with Alshaya was confirmed at a signing ceremony between Mr. Shem Krey, Managing Director and Mr. Rony Mourani, General Manager of the Mall of Qatar, and Mr. Wassim Arabi, Chief Executive Officer of M. H. Alshaya Co. Winner of the Middle East Retailer of the Year Award in June 2015, Alshaya’s ever popular brands will occupy around 18,000 sq. m of the Mall. Collectively these brands will offer shoppers an exciting collection of well-loved international fashion & footwear, food, health & beauty, pharmacy, optics and home furnishings brands including Mothercare, H&M, Debenhams, Victoria’s Secret, Starbucks and The Cheesecake Factory. Under the deal, the 32 household name brands that will join Mall of Qatar’s growing list of shops, cafes and restaurants include: Debenhams, Pinkberry, Bath & Body Works, Milano, Icing, American Eagle Outfitters, Vision Express, Jo Malone, River Island, Asha’s, Starbucks, PF Chang’s, The Cheesecake Factory, Texas Roadhouse, Payless ShoeSource, Boots, Claire’s, M.A.C, Foot Locker, Shake Shack, H&M, Miss Selfridge, Topshop, Phase Eight, The Body Shop, Victoria’s Secret, Pink, Babel, Pottery Barn, Raising Cane’s, Next and Mothercare. 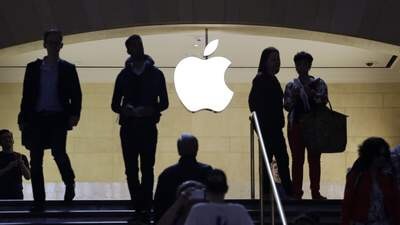 Apple on Tuesday posted 14 fresh jobs on its official website for retail operations in the UAE. 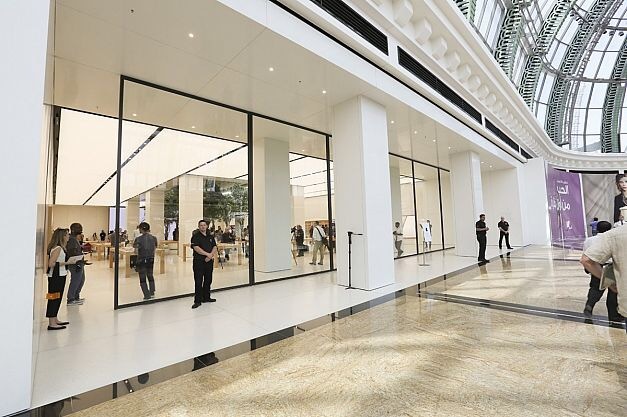 The first Apple Store in the Middle East at Dubai’s Mall of the Emirates has been delayed for a month or two, sources told Khaleej Times. The flagship store was supposed to open on September 28 along with the opening of a new expansion area in the mall. The Cupertino-based company on Tuesday posted 14 fresh jobs on its official website for retail operations in the UAE. The new jobs include Apple store leader program, store leader, inventory specialist, business specialist, creative, business manager, market leader, service specialist, genius, senior manager and manager, among others. Earlier this month, Apple also advertised a few vacancies for sales and customer service experience among others. In March this year, the company advertised several positions in the UAE for sales, marketing and retail with job titles such as “Expert” and “Genius”. 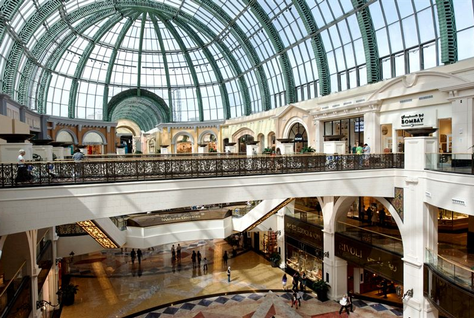 Although the size and opening date of Apple’s first store in the Middle East is not yet confirmed by mall operator Majid Al Futtaim and the US company, Khaleej Times got the exact location of the store in the mall: shop number 489 on the second floor and it will be located between Italy’s fashion brand Fendi and Harvey Nichols. Earlier this year, Apple opened its regional headquarters in Emaar Square in Dubai. In 2011, the company launched the Apple Online Store UAE that offers a range of products, such as iPhones, iPads, iPods and MacBooks. Etisalat and du are the authorised distributors of iPhones in the UAE but a couple of key retailers buy smartphones directly from Apple. Apple products are already being sold by its authorised resellers at around 100 locations across Dubai, including all terminals at Dubai International Airport. 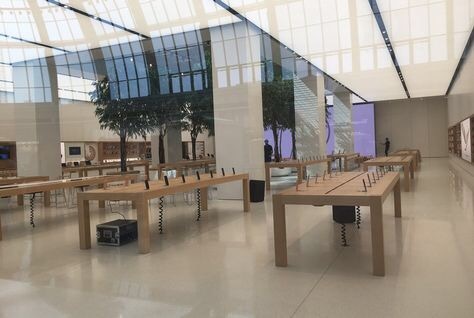 Abu Dhabi’s newly-opened Yas Mall is likely to host the second Apple store in the UAE maybe next year, sources said. The space has been taken in the mall, they added. 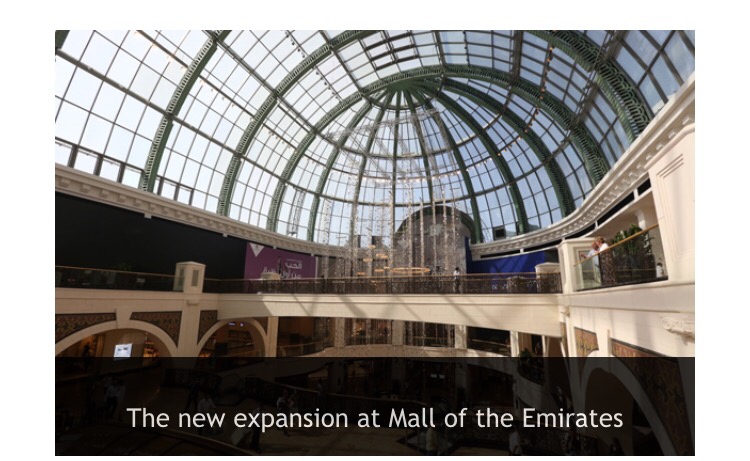 It’s also rumoured that The Dubai Mall will host the second Apple store in Dubai. The company has more than 450 retail stores in 16 countries and online stores are available in 39 countries. 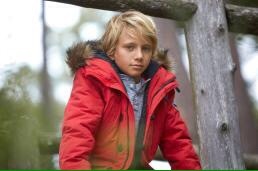 The company opened its latest store on September 19 in Brussels, Belgium. 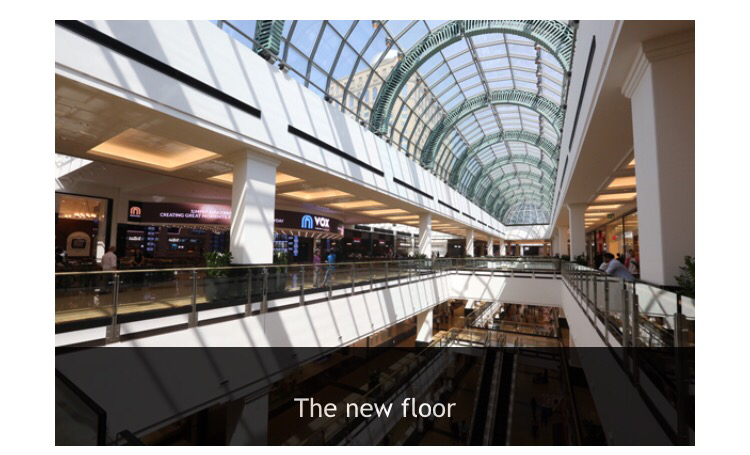 The expansion of Mall of the Emirates has revealed an entirely new floor as part of Majid Al Futtaim’s Dhs1 billion investment. 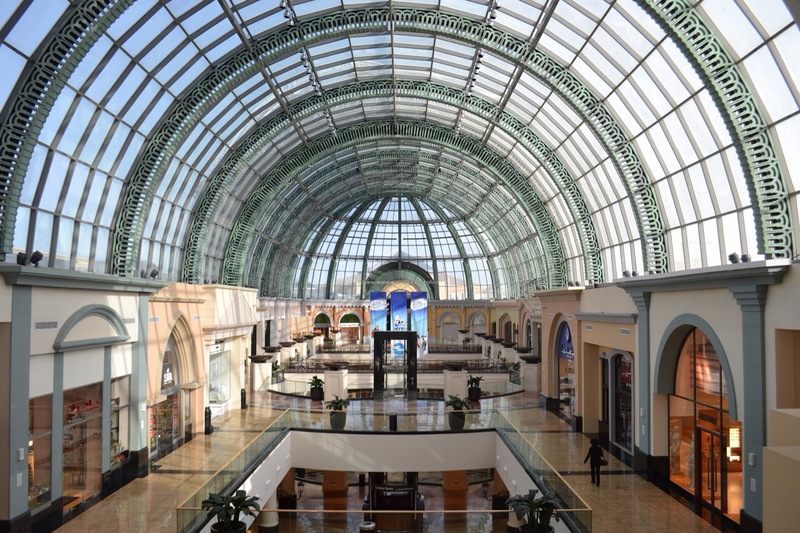 The scheme has added 36,000sqm of retail, dining and entertainment at the mall in Dubai. Two new domes, three glass barrel roof lights, nine new bridges and three escalators have been added to connect to the existing mall. The new area – the size of which is the equivalent of eight football pitches – offers space for a total of 40 retail outlets, including more than 20 fashion retailers, some of which are entering the region for the first time, and 12 dining outlets. 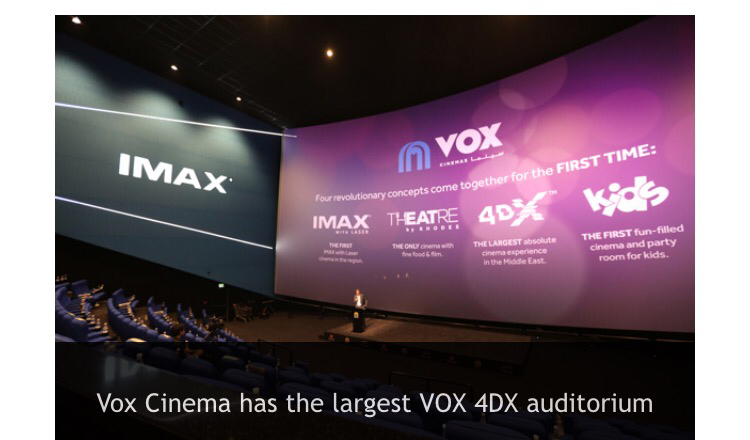 The new VOX Cinemas has 24 revamped screens and UAE’s first IMAX with Laser screen. It also has a luxury cinema experience called THEATRE by Rhodes, combining fine food and film in a collaboration with Michelin Star Chef Gary Rhodes. New restaurant venues near the VOX Cinemas include Dean & Deluca, 800 Degrees, Eat Greek Kouzina and Din Tai Fung. The Evolution 2015 scheme has also added 1,300 shaded parking spaces with a dedicated entrance. A new taxi arrival facility has also been created next to Ski Dubai. Dubai: England and Manchester United legend David Beckham will be in Dubai on September 29 to open the new Adidas store at Mall of the Emirates, it was confirmed on social media on Tuesday. 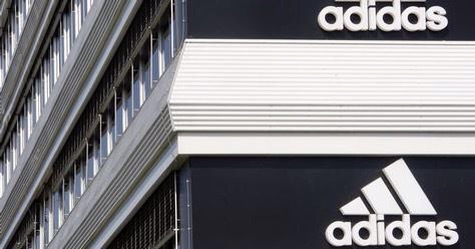 Adidas Middle East are running a competition for one lucky fan and a friend to meet the 40-year-old former midfielder, who also played for Real Madrid, LA Galaxy, AC Milan and Paris Saint-Germain. All you have to do is repost a link of his picture from @adidasmena’s Instagram account explaining why you and a friend deserve to meet him. Winners will be contacted by an Instagram private message on Sunday. Beckham is most famous for winning the treble with Manchester United in 1999 and scoring a last-gasp free-kick against Greece to secure England a place at the 2002 Fifa World Cup. Overall he won 19 trophies in a 20-year career including league titles in England, Spain, the US and France. Dubai: American apparel brand Old Navy said on Sunday it is opening its first store in the UAE in November this year, at the Dubai Festival City. 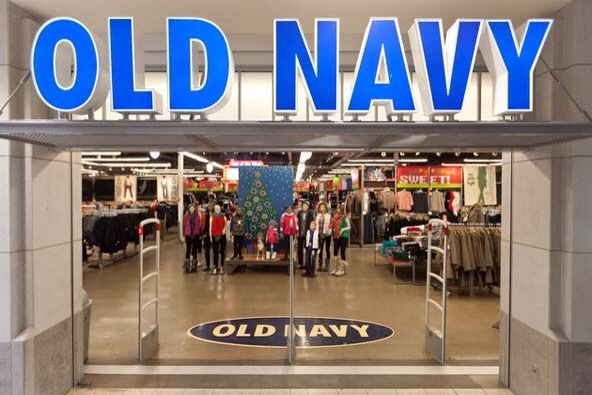 This is the fifth franchise market expansion for Old Navy. In March 2014, it opened its first franchise-operated stores in the Philippines and has since opened stores in Qatar, Kuwait and Saudi Arabia. Old Navy is part of the Gap Inc portfolio of brands, which also includes Gap, Banana Republic, Athleta and Intermix. The brand’s move into the Middle East builds on the success that Gap and Banana Republic have experienced since entering the market in 2007, the company stated. It added that the brand’s entry into the UAE marks its continued global growth strategy. Home Centre, the home decor retailer, will be adding another four shops in the UAE as part of its Dh1 billion, five-year expansion plan. Home Centre currently has 16 stores across the UAE. The new store openings will be Karama in Dubai opening imminently, Fujairah opening in November, Al Ain which has already partially opened and the fourth in Nakheel Mall on Palm Jumeirah. The aggressive expansion includes a further 20 shops in Saudi Arabia, bringing its total number in the kingdom to 49. The group will finance its own expansion, looking to increase its store count and retail footfall by 50 per cent. The retailer has close to 90 stores and an annual footfall of more than 3 million people currently. The UAE-based retailer, celebrating its 20-year anniversary this month, will also begin selling over 2,500 products online from Sunday, offering next-day delivery, cash on delivery and an easy returns policy. “Our online offering will only be available in the UAE at first,” said Mederic Payne, the chief executive of Home Centre. “We have the capability and warehousing to fulfill our UAE commitments, which is most important with online sales. “I do not see it driving growth in sales and revenues until 2018-19 but it will be a key growth driver for us. Dubai has won the bid to host the 10th World Retail Congress 2016 in the United Arab Emirates, an announcement that came during the final day of the 9th Congress in Rome, which was attended by Dubai Chamber of Commerce and an industry-led trade mission. This is the first time that the event will be held outside Europe. A Dubai Chamber report reveals that an apparel and footwear retail outlets are expected to lead the growth in the retail sector in the medium run and will achieve compound annual growth rate of 6.8 percent until 2019, while the expectations for the electronics and appliance, health and beauty, home and garden products expect a compound annual growth rate of three to six percent during the same period. Among the factors that influence in the growth of the retail sector in Dubai are the steady population growth, rising salaries leading to high consumer spending, cultural diversity, tourism growth, continuation of infrastructure development projects and the establishment of more commercial centers that are supporting the retail sector development. The Dubai Chamber delegation included H.E. Juma Mohammad Al Kait, assistant undersecretary of UAE Ministry of Economy; H.E. Majid Al Shamsi, chairman, Union Coop; Adel Al Zarouni, managing director, Rivoli Group LLC; Ahmed Galal Ismail, CEO of Majid Al Futtaim Ventures; Khalid Al Falasi, general manager, Union Coop; Mohi-Din BinHendi, chairman of BinHendi Enterprises; and Vino El Khatib, chief marketing & brand officer for Majid Al Futtaim Holding. Abu Dhabi-based retailer LuLu Group has announced plans to expand across Indonesia and will open its first hypermarket in Jakarta by the end of this year. The company said it would make an investment of $300m in the first phase, which could grow to $500m over the next five years. LuLu plans to open 15 hypermarkets across Bandung, Solo, Semarang, Surabaya and Yogyakarta by the end of 2017 along with a central logistics and warehousing facility in Jakarta. Managing director Yousuffali M.A. said: “These projects are likely to generate more than 5,000 job opportunities for Indonesians and to train them on all levels. “The fact that we are going to Indonesia with our Halal hypermarket concept is giving us the encouragement to look for a wider market segment there. The announcement came during a visit by Indonesian President Joko Widodo to the United Arab Emirates. Widodo also visited LuLu’s hypermarket outlet in Abu Dhabi. LuLu currently operates 117 stores across the Gulf, Yemen, Egypt and India. Last year, the retail chain also revealed expansion into Malaysia, with plans to open six new halal-only hypermarkets with an investment of $200m. The supermarket chain has also outlined plans to enter new markets such as Iraq, Algeria, Morocco and Libya. Majid Al Futtaim announced on Thursday the completion of its redevelopment project for its flagship Mall of the Emirates shopping mall in Dubai. The mall operator said it will reveal a new 36,000 sq m retail extension at the shopping centre on September 28. The extension will pave the way to 40 new shopping, dining and entertainment outlets including retail anchors making their debut in the Middle East. 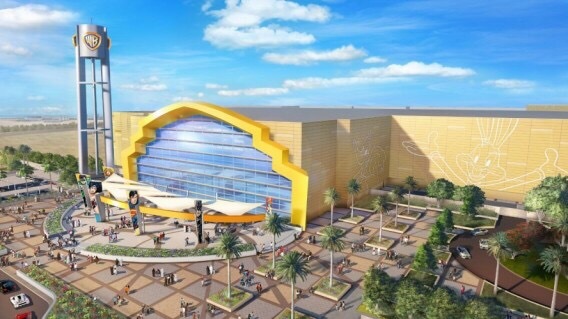 With an investment of more than AED1 billion ($272 million) on Evolution 2015, Mall of the Emirates will enhance customer experience with the largest redevelopment project to-date, the company said in a statement. The improvements include state-of-the art architecture, new lifestyle options with 20 fashion brands, 12 restaurants and a revamped 24-screen VOX Cinemas featuring advanced technologies such as the first IMAX with Laser screen in the Middle East, the largest 4DX screen and the new THEATRE by Rhodes luxury concept, a collaboration with celebrity chef Gary Rhodes. “Innovation is integral within Majid Al Futtaim as we live by the company’s vision to create great moments for everyone, everyday. By re-shaping Mall of the Emirates with Evolution 2015, we continue to evolve and enjoy a competitive edge and leadership position as the Middle East’s leading luxury and lifestyle destination,” said Michael Cesarz, CEO – Shopping Malls Business Unit – Majid Al Futtaim Properties. Evolution 2015 is a multi-phased project. Phase 1 was completed in 2014 with the unveiling of the Fashion District – an AED100 million new precinct that has introduced some first-time boutique brands to the UAE. The beginning of Phase 2 marks the addition of a new taxi rank located next to Ski Dubai, at Welcome Court 4, which represented a total investment of AED10 million. In addition, Mall of the Emirates increased its car park capacity by building a newly-opened parking deck with roof-top shade on Level 4, creating 1,300 new spots. A masterplan has been unveiled for the Burj 2020 District, an upcoming megaproject set to include a skyscraper dubbed ‘the diamond of Dubai’ as well as retail, hospitality and residential spaces. The Dubai Multi Commodities Centre (DMCC) project will include seven towers spanning a built-up area of over 1 million square metres. Elements will include a single-use commercial tower, three residential towers and 100,000 square metres of retail space, DMCC said. The centerpiece of the district, the Burj 2020 tower, will be designed by Adrian Smith and Gordin Gill (AS + GG), the architects behind the Kingdom Tower in Saudi Arabia. 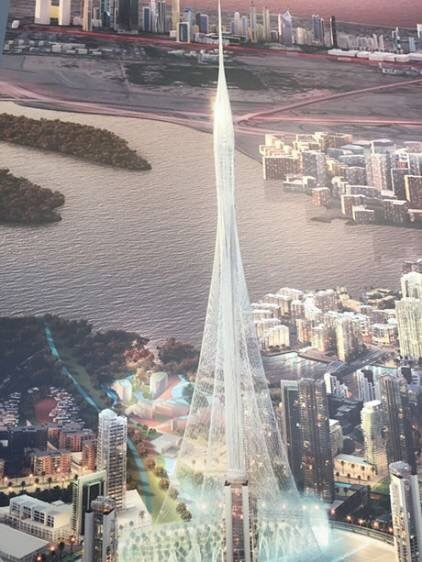 The tower is set to be “the diamond of Dubai”, Smith said. “It needed to have beautiful quality and character, with light bouncing off of it and a silhouette that changes as it goes up, and it all culminated into this form,” he added. The height of the tower and the expected cost of the wider development was not revealed as part of the conceptual masterplan outlined at the Cityscape Global event in Dubai. “We plan to break ground for the Burj 2020 District in 2016. 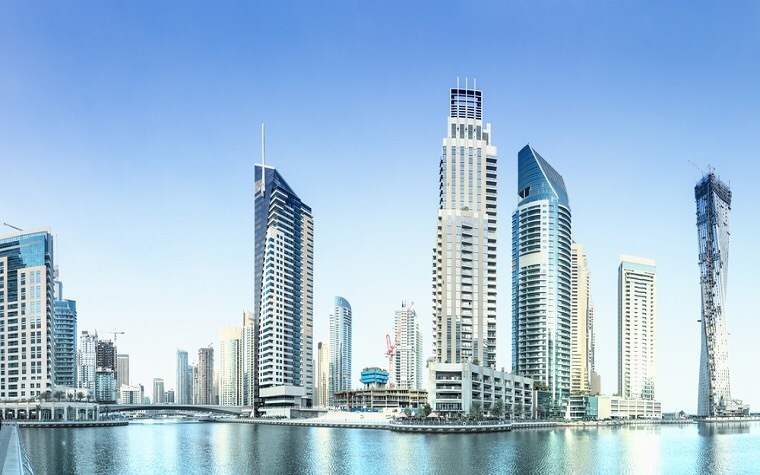 The first phase of the project… is expected to be delivered by 2020,” DMCC’s chief executive Gautam Sashittal told MEConstructionNews.com. The Burj 2020 District will be within the existing DMCC Free Zone, which consists of 66 towers including the Almas Tower, which is one of the tallest commercial towers in the city. 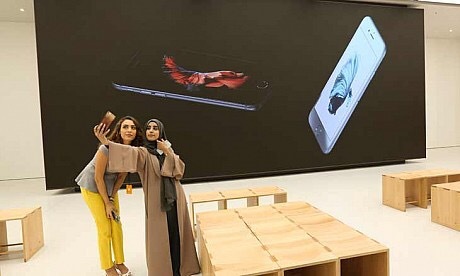 The UAE Ministry of Economy has denied giving 100 per cent foreign ownership to Apple for opening its stores in the UAE. Bloomberg News agency, quoting two people with knowledge of the matter, said Apple is likely to be exempted from foreign ownership laws in the UAE. The agency said the privilege was a condition for the world’s largest listed company to set up in the UAE. But Ahmad Al Hosani, Director of Trade Registration Department, Ministry of Economy , told Gulf News that with specific reference to Apple Inc, as with all foreign companies, it is subject to the UAE’s laws and regulations. “Apple was licenced in the UAE through the Ministry of Economy according to the requirements of, and in compliance with the Commercial Companies Law, as well as the ministerial resolution on foreign company branches. Within this mandate, branches of foreign companies in the UAE have full management rights provided they work through an Emirati service agent,” he said. He said that global companies establish their business in the UAE according to relevant legislations including the Commercial Companies Law, which serves as a legislative umbrella for such overseas companies. It is not clear whether Apple needs a new licence to open a store as the US company already has an office at Emaar Square, Downtown Dubai. It is also unclear who Apple’s partner in the UAE is. Apple did not respond to Gulf News queries. Sultan Bin Saeed Al Mansouri, Minister of Economy, said in March the UAE is at an advanced stage of drafting a foreign investment law that would allow 100 per cent foreign ownership of businesses. At present, foreigners cannot own more than 49 per cent of any UAE firm unless it is incorporated in a free zone. Yassir Ahmad, legal consultant at Sunil Thacker Associates, said the 100 per cent foreign ownership rule will come and they [Ministry] are still studying it. It may be issued in 2016. For the time being, he said the companies law remains unchanged. “Once it [new companies law] is official, the court will issue the order,” he said. Apple has been the talk of the town since Tim Cook visited Dubai Mall on February 2, 2014. Speculation has been rife the company, which does not have an official Apple store in the country, may be looking to open a flagship store at either Dubai Mall or Mall of the Emirates in Dubai and at Yas Island in Abu Dhabi. Sukhdev Singh, vice-president at market research and analysis services provider AMRB, said it is a “good move” if it happens. Apple will get a great launching pad in Dubai. From Dubai’s point of view, it shows the flexibility from the government side to attract foreign companies to set up shops in Dubai and use it as a launching pad. “Both ways it works well,” he said. 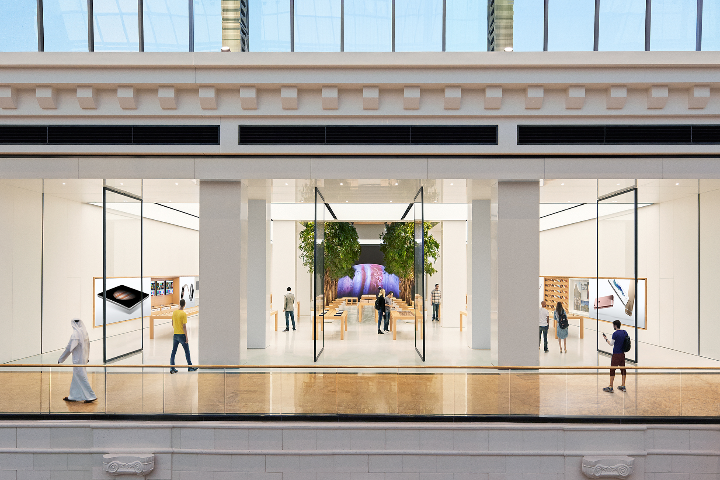 The highly anticipated Apple Inc. (NASDAQ:AAPL) retail store opening in Dubai was delayed and may not open until October or even later. 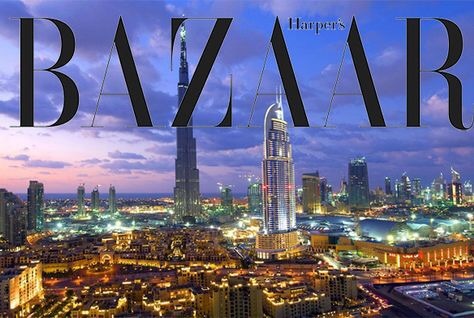 The store, which would have been a first for the United Arab Emirates, is set to be located inside the Mall of Emirates. Everything else involving the upcoming store opening remains unchanged. 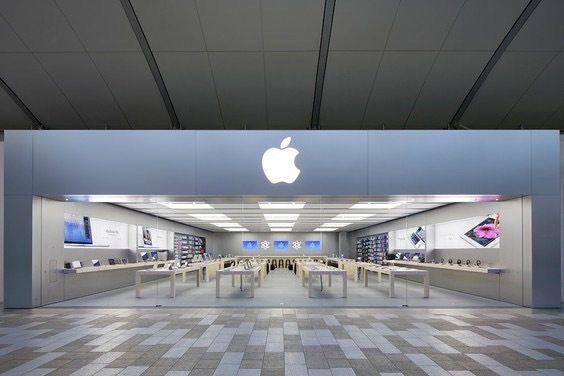 It was reported earlier this year that Apple would launch their largest retail store ever in the UAE. They would use the store’s massive space to create an exciting way to present products and services. Apple’s entry into the UAE market is a great move for the company as it will provide another stream of revenue. Earlier this week, there was a report that the UAE government caved into Apple’s request to modify laws pertaining to foreign ownership as Apple’s strong history as a formidable company with a proven track record. Local regulations mandate all businesses operating in the United Arab Emirates need to be owned at least 51% owned by Emiratis or entirely owned by them if they are not based in free zones. The UAE government is working on a law to benefit foreign companies (like Apple) to operate in the country. Apple knows the UAE is a desirable market with over 17 million active mobile subscribers. 61% of that group own smartphones, and the iPhone 5S was considered on the of the most popular phones in the country as of 4th quarter of 2014. 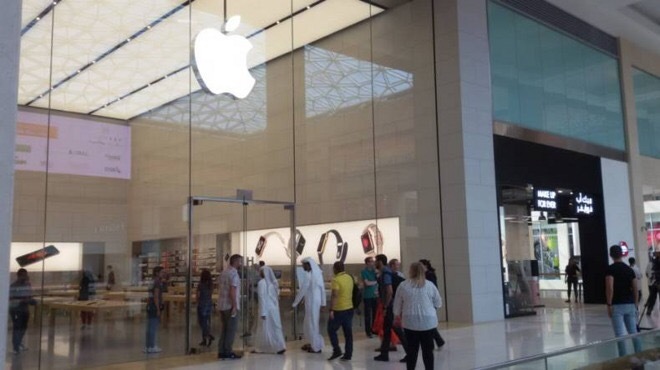 Apple Reportedly Granted Ownership Exemption to Open Retail Stores in U.A.E. 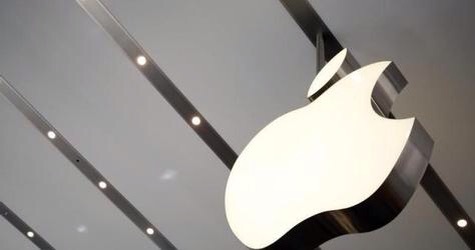 Apple Inc. has been granted an exemption from foreign ownership laws in the United Arab Emirates that will allow it 100 percent control of operations in the country, according to two people with knowledge of the matter. The dispensation was a condition for the world’s largest listed company to set up in the U.A.E., the people said, asking not to be identified as the plans are private. Apple will open its first Middle East store in Dubai this year and then Abu Dhabi after securing the privileges, according to the people. Under local regulations, all businesses operating in the U.A.E. must be 51 percent owned by Emiratis or a company wholly owned by them unless they are based in free-zones. The government is working on a new foreign investment law that would allow 100 percent foreign ownership in some industries, Minister of Economy Sultan Al Mansoori said in March. “Apple was licensed in the U.A.E. through the Ministry of Economy according to the requirements of, and in compliance with the Commercial Companies Law, as well as the ministerial resolution on foreign company branches,” Ahmad Al-Hosani, director of trade registration at the Ministry of Economy, said in an e-mailed statement. The U.A.E. is an attractive market for Apple, whose iPhone business makes up 63 percent of its revenue in the most recent quarter. There are about 17 million active mobile subscriptions in the U.A.E. and 61 percent of them are smartphones, according to the Telecommunications Regulatory Authority. The iPhone 5s was the most popular handset in the country in the fourth quarter of 2014, the latest figures from the regulator show. A spokeswoman for Apple in Dubai didn’t respond to calls and e-mails requesting comment. Dubai never ceases to amaze you. With several iconic buildings such as the Burj Al Arab, the Palm Jumeirah and Burj Khalifa, the city is an epitome of architectural largesse. In the current property development cycle, the city’s promoters have envisaged ambitious projects whose cumulative value runs into hundreds of billions of dirhams. floating hotels and restaurants lining the Dubai Canal, among others. Description: It’s a mixed-use development offering residential and retail space. The residential component comprises 21 low-rise buildings of ground plus three to four storeys offering 28 to 32 units per building. In total, the development is expected to offer 600 units with a mix of one-, two and three-bedroom apartments. With regards to the retail space, phase one of the project is already open, offering 13,000 square metres GLA of space. Phase two is expected to see retail addition of 10,000 square metres. Expert comments: Erik Volkers, senior consultant, research and consultancy, CBRE Middle East – The Avenue which forms phase 1 of the retail is currently operational and is fully occupied while phase 2 (the City Walk) is expected to open in 2016. Although, details are not disclosed by Meraas, a few of the residential blocks under construction have been sold to investors. Description: The project aims to link the Dubai Creek with the Arabian Gulf via a canal through Sheikh Zayed Road, Al Safa Park and Jumeirah 2. Phase one includes a 16-lane flyover on Sheikh Zayed Road under which the canal will flow. Phase two encompasses the construction of six-lane bridges on Al Wasl and Jumeirah Roads above the canal, enabling the passage of yachts. Features 4,500 apartments, 44 townhouses, 19 villas, 65,000 square metres of office space, 37,000 square metre of retail, sports centre, public park, hotels. Expert comments: Erik Volkers – Originally launched during the last development cycle, the Dubai Canal has been reworked and launched. Works on the project are already under way with RTA road infrastructure works currently in progress to divert Sheikh Zayed Road traffic and allow future phases of the work to complete. Description: The project is developed on reclaimed land. It is segregated into seven residential areas with 300 villa plots. Other components include a town centre, pre-school facility, hospitality projects overlooking the waterfront, two open beaches and a two-kilometre promenade. Pearl Jumeirah is a component of the Jumeirah Gardens master development that Meraas unveiled in 2008 and later modified. Expert comments: Erik Volkers – Land plots were sold to investors on freehold title with a permission to build villas with a height of ground plus one floor. All plots released by the developer have been grabbed by investors. Craig Plumb, head of research at JLL Mena – Adjacent to Le Mer, a major beachfront development under construction and the reason why the older public beaches are closed, the project involves creation of new islands. Construction progress: Nakheel has appointed a marine engineering contractor to deliver the coastline and breakwaters. 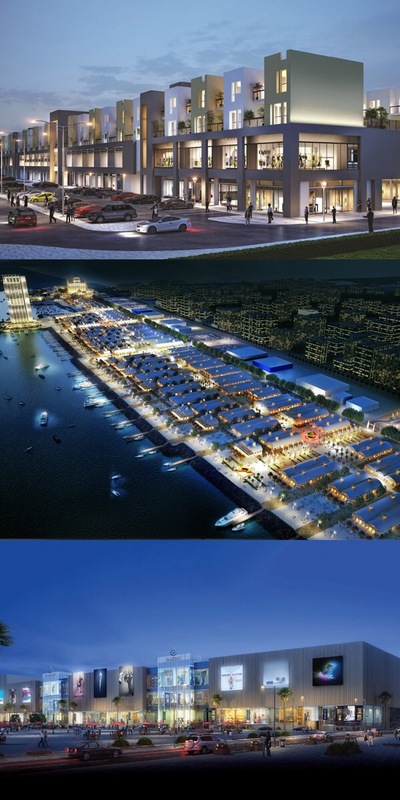 Description: Nakheel’s reincarnation of the Palm Deira, the project is made up of four islands. 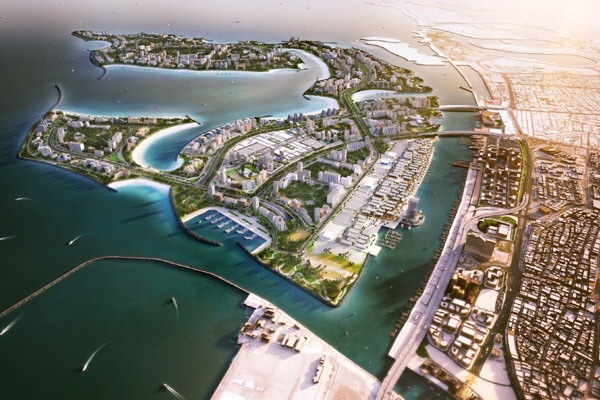 The islands will offer opportunities for mixed-use waterfront development, all masterplanned by Nakheel. They will feature hotels, residential, commercial and retail units. The island will add more than 40 kilometres (including 21 kilometres of beachfront) to Dubai’s existing coastline. The project will also include a 250-key hotel, an amphitheatre with a capacity of 30,000 people and marina facilities. Nakheel will build a 750-room four-star beachfront resort in partnership with RIU Hotels & Resorts, a Spanish hotel operator. Deira Mall and Deira Islands Night Souq are part of the mix. The mall will be surrounded by the 16-tower Deira Islands Towers community, comprising over 2,400 apartments and townhouses. Description: Touted to rival the Sydney Opera House, Dubai Opera is a multi-format venue for opera, theatre, concerts, art exhibitions, film and sports events. It is styled on wooden dhows, the traditional sailing vessels of the Arabian Gulf. Set to commence operations in 2016, Dubai Opera is designed to have three basic formats to support theatre, concerts and a flat floor for events and exhibitions. The Opera District will also house a museum of modern art, two art hotels, design studios and galleries. It features a 66-storey residential tower, Opera Grand, with over 200 two-, three- and four-bedroom apartments. Completion date: First residents will move in within the next six months with the full project set for completion by 2019. Description: A master community being built around an 18-hole Trump International golf course designed by Gil Hanse, it features 2,200 villas and 10 low-rise buildings. A clubhouse will open in the first quarter of 2016. The golf course is scheduled to open in December 2015. Includes The Drive, a retail strip similar to Rodeo Drive in Beverly Hills. Akoya Oxygen, an adjacent community by the same developer, will host the Dubai Rainforest. Description: Features the world’s largest mall spanning eight million square feet, 80 hotels and 20 hotel apartments will add 20,000 rooms, seven kilometre retail promenade reminiscent of London’s Oxford Street, wellness district catering to medical tourists and the world’s biggest indoor theme park. The entire development will be covered by a glass dome that will open during winter months. It will also benefit from air-conditioned retail streets. Expert comments: Erik Volkers – At this stage, there is still scant information available on the wider project. To date, there is no real understanding of when the first phases of the development will be delivered and how the project will be phased. Description: Dubai Holding and Emaar Properties joined hands in November 2012 to conceptualise MBR City. It will feature the biggest family entertainment centre in the region (in collaboration with Universal Studios), 100 hotels, a public park 30 per cent bigger than London’s Hyde Park and the largest area for art galleries in the Middle East and North Africa. Meydan and Sobha Group entered into a joint venture to develop District One, which boasts the world’s largest manmade lagoon. The first batch of luxury villas are on schedule for a mid-2016 handover. MBR City District 11 incorporates staffing accommodation for Emirates airline pilots. The Meydan One project will be home to the world’s tallest residential tower – the 161-floor Dubai One. Description: Will host the world’s tallest twin towers. Project proposed to be three times the size of Downtown. 39,000 apartments, villas, hotels and hotel apartments, marinas and a mall that offers both inside and outside shopping options. Expert comments: Erik Volkers – Previously known as The Lagoons (initially launched in 2005, placed on hold in 2008 – now being redesigned), this master plan is a city in itself. 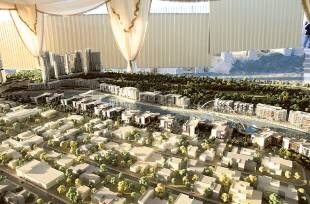 The first phase, the Dubai Creek Residences has been launched. It is a cluster of six towers. Description: The Bluewaters Island is a reclaimed land located towards the south-western end of Dubai. It will feature retail, residential, hospitality and entertainment zones. It lies in proximity to Dubai Marina, JBR and the Palm Jumeirah. It can be accessible through Sheikh Zayed Road, Sufouh Road and Al Marsa Road. The main attraction is the 210-metre Ferris wheel ‘Dubai Eye’. A footbridge will be constructed to link the Island with the JBR waterfront. The island is anticipated to attract more than three million visitors per annum. Expert comments: Erik Volkers – Land has been reclaimed and contract on the bridge connecting the island with Sheikh Zayed Road has been awarded and is under construction. As of June 2015, the base of the Ferris Wheel is visible from JBR. Other notable projects coming up include the Dubai Frame, a structure resembling a huge window frame that will offer visitors a view of New Dubai on one side and old landmarks such as Deira and Karama on the other, in Zabeel Park; the Meydan One project featuring the world’s tallest residential tower; Dubai Parks & Resorts’ three theme parks in Jebel Ali; the Habtoor Palace coming up on the site of the former Metropolitan Hotel which will feature a theatre that can stage Broadway-style shows, etc. Besides the semi-government real estate companies such as Emaar, Dubai Holding, Meraas and Nakheel, smaller private developers have also hopped onto the property bandwagon in the run-up to Expo 2020 in Dubai. A few significant projects include Town Square by Nshama, a project aimed at the affordable sector, including buyers with income between Dh15,000 to Dh30,000 per month, Danube’s projects Glitz in Dubai Studio City and Dreamz in Al Furjan, and Diamond Developers’ Sustainable City, a low-carbon emission community on Al Qudra Road. Brand associations also hold allure for developers and investors in Dubai. Bollywood actor Shahrukh Khan endorsed The Royal Estates, a gated community in Dubai Investment Park in August 2014. While the actor will be the face of the luxury township, his wife Gauri Khan, an interior designer, will handle the home decor for the 2,000 units. Meanwhile, luxury property developer Damac Properties has partnered with the Trump Organisation to manage and operate two golf courses designed by Gil Hanse and Tiger Woods in its upcoming communities Akoya by Damac and Akoya Oxygen respectively. Other iconic projects announced include the Dh500 million Dubai Museum of the Future near Emirates Towers on Sheikh Zayed Road, Aladdin City, a cluster of three towers being built across the Dubai Creek, and the Dubai Police Museum which will resemble a policeman’s cap. These developments are sure to transform the Dubai skyline beyond recognition. Let’s wait and watch.